CEI Podcast for September 11, 2013: Ronald Coase, 1910-2013 | Inertia Wins! 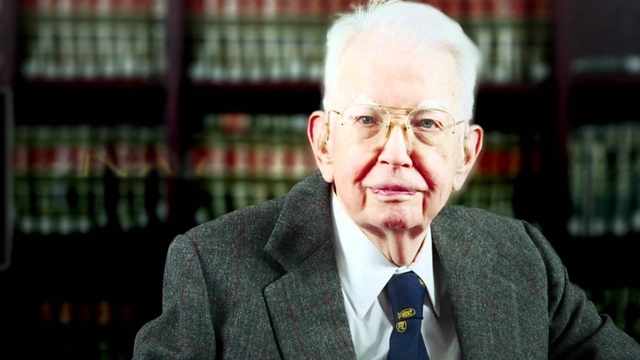 Ronald Coase, a massively influential economist and winner of the 1991 economics Nobel, has passed away at the age of 102. CEI Founder and Chairman Fred Smith discusses Coase’s major works, the animating themes that unite them, and the fact that Coase was always a man of great personal and intellectual humility — a trait that escapes many of his peers. In 2004, Smith sat down with Coase for an extended interview, which you can watch here. This entry was posted in CEI Podcast, Economics, Great Thinkers. Bookmark the permalink.